As the country gears up for two-month long football extravaganza, second edition of the Hero Indian Super League, a colourful ceremony will flag off the first match between the defending champions, Atletico de Kolkata and the home team Chennaiyin FC, at the Jawaharlal Nehru Stadium, in Chennai, on Saturday. A grand opening ceremony has been planned and actress Aishwarya Rai Bachchan, ready with her Bollywood comeback film Jazbaa, will add a dose of glamour at the opener, in which her husband Abhishek Bachchan co-owns a franchise. Aishwarya will perform to a medley of her songs. Apart from the Bollywood acts, the show will feature 500 dancers and 2,000 participants. 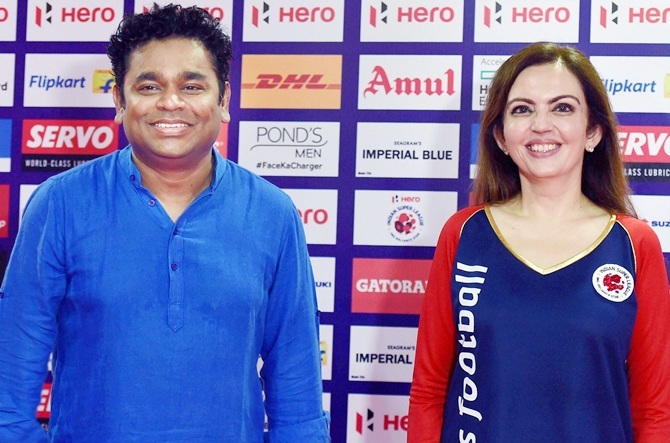 AR Rahman has worked on a special project with his choir for the player walk out that will lead up to the National Anthem at the ceremony. Is this the worst period of Mourinho's career? Tell us!